With a fresh coat of paint and a new sign, the old building stands out and is welcoming. 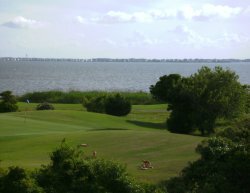 While it is on the Beach Road now, it originally started out near a kid-sized castle at Jockey's Ridge. In 1954 the owners moved to the current location...and that little castle is buried. Every now and then, depending on the wind you may see the castle, or part of it, sticking up from under the sand. 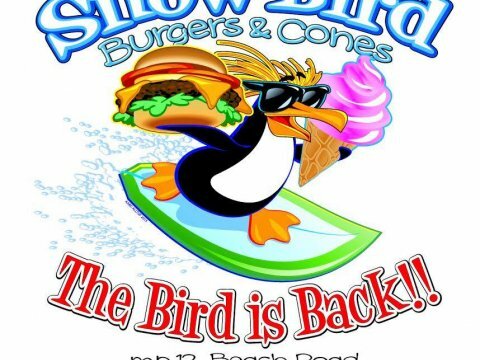 Snow Bird is across (kind of) from the Nags Head Pier at Milepost 12 and will be offering their old favorites and also adding some new items to the menu. I love little places like this...real mom and pop places. 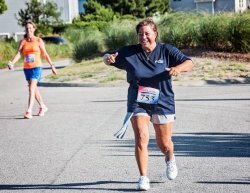 You can come as you are and get your food quickly then head back to the beach or where ever. 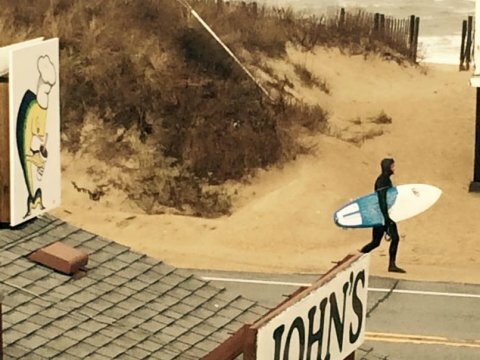 Dune Burger, also in Nags Head, is another iconic Nags Head eatery. 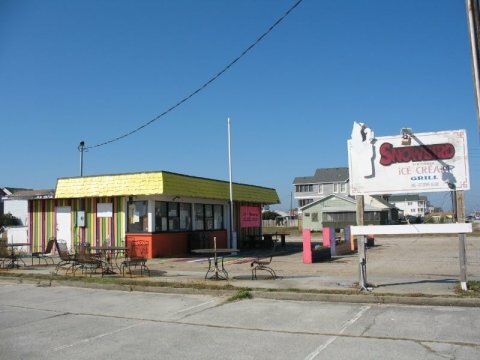 This one is across from Jennette's Pier and is known for Dune Burgers, Thatsa Dog and their ice cream. 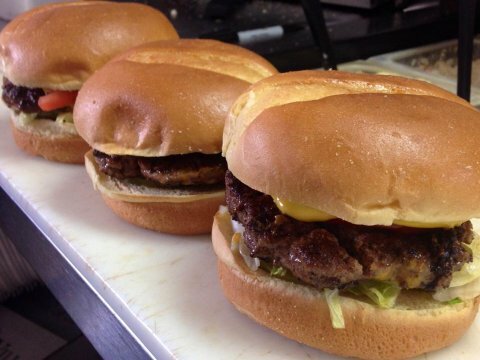 Dune Burger gets rave reviews from locals and visitors...and I will add my approval too. Again, take out only, serving, hot dogs, burgers, bbq, fries and ice cream. Beach food! 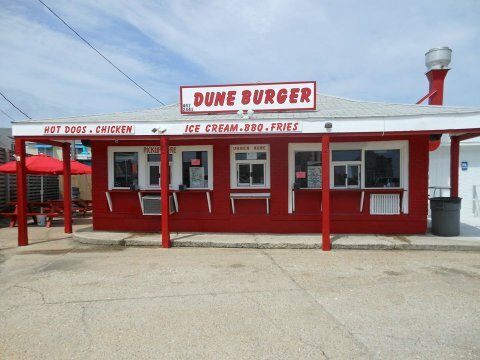 Dune Burger has also been here on the Outer Banks for a long time. And you HAVE to try John's Drive In. Best milkshakes. Really. 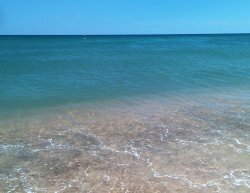 And dolphin boats (no, it is not that dolphin, it is mahi-mahi). 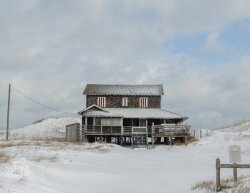 John's is on the Beach Road in Kitty Hawk and you can see the beach and ocean from here. So grab some food and walk on over. Parking spaces are few and this place stays busy. You can phone ahead if you like. Each of these little restaurants is busy cleaning, painting and getting ready for the summer of 2015. Stop in any or all of them, and tell them we sent you.